Depending on your particular device you can download this free app from the Apple App store or the Android Google Play market by searching for Glencoe Public Library. If you want more details and a demo you should attend our special November 27th Technology Tuesday, at 1:00 and 7:00. We can't wait to make the library available to you whenever you need it and wherever you are! The next time you visit the children's section of the library you'll want to check out a colorful new addition to our computer section. The AWE Early Literacy Station is a fun way for kids ages 2 to 8 to learn math, science, reading and much more! Featuring familiar characters and brands such as Dora and Diego, Sesame Street and Jumpstart, the Early Literacy Station offers over 60 programs and games for your kids to explore. It's also made just for kids, meaning that it's not only fun but also easy to use, with a touchscreen and a colorful keyboard! Come check it out! When and how you take Social Security may seem like a straightforward decision. It is not. The wrong decision can cost you tens of thousands of dollars. Even if you’ve made a decision, you may still be able to receive more money. Adam Stock, CFP and principal of The Next Level Planning Group, returns on Monday, October 29th at 7:30 to present this popular program. The wait for the last book in Allyson Braithwait Condie's Matched trilogy is finally here and we're going to celebrate by having a book group discussion and pizza party on Wednesday, November 14th at 4:00pm. 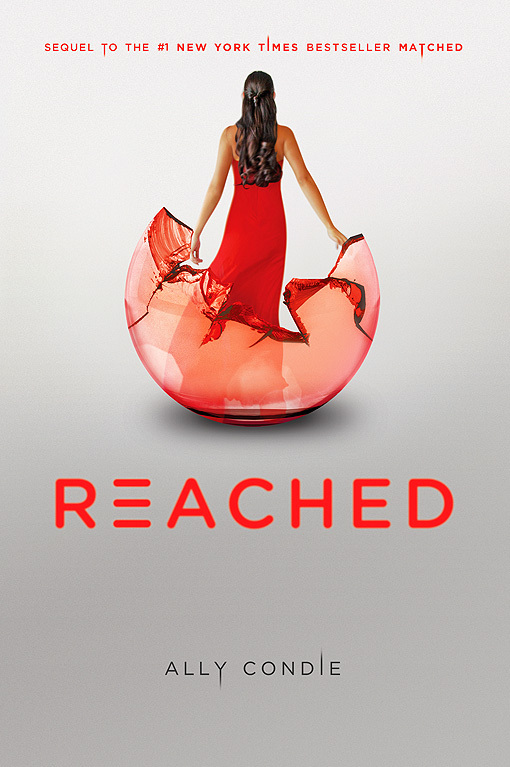 Please make sure to sign up at the Readers' Services desk by October 29th in order to be guaranteed a copy of Reached, which we will hand out at the book group. This program is for 6th to 12th graders only. The Library will close at 4:00 pm and will reopen at 4:30 for concert seating. Admission is free. As always, this concert is being brought to you by the Friends of the Glencoe Public Library. Board Certiﬁed Adult & Pediatric Allergist Dr. Kimberly Ricaurte returns on Monday, October 22nd at 7:30 pm to talk about the subject that's on everyone's mind (as well as in their nose and lungs): allergies. Hear about the most current research and management options for seasonal allergies, asthma, and food allergies, including exciting new treatment protocols for even the most severe food allergies. Refuge: Stories of the Selfhelp Home is a documentary about the last generation of Holocaust survivors in Chicago and we will screen it on Sunday, October 21st at 3:00pm. 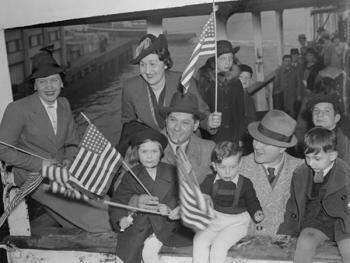 Through historical narrative, archival footage, and personal testimony, the ﬁlm explores the lives of six Chicagoans against the context of the Nazi cataclysm and tells the story of a community that has given refuge to more than 1,000 central European Jewish refugees and survivors. It premiered in June at the Illinois Holocaust Museum and Education Center in Skokie. Glencoe resident and Refuge editor Ruth Epstein will introduce the hour-long ﬁlm and answer questions afterward. You can view the trailer here. Hola! Would your kids enjoy a new twist in storytime? Come to the library on Wednesday, October 17th at 10:30 to enjoy Spanish Language Storytime! Language Stars will host interactive storytelling with one of their native-speaking Spanish teachers. There will be another Spanish Language Storytime on November 13th as well. Then, if your kids are looking for a storytime that's a little scary you'll want to bring them to our Saturday, October 20th at 11:00 Halloween Storytime and Craft Fun event. There will be spine-tingling tales that the whole family will enjoy and then they can make a spooky craft to take home. Dress in costume, if you like! Both events are for all ages with parent or caregiver. Square up with the library and help someone who needs a square meal at the same time! All library fines collected October 15 - 28 will be donated by the library to the New Trier Township Pantry. You may pay your fines at the checkout desk or online. Payments for lost materials are not included in the Fines for Food event. There's still time to gain entry to the Friends' preview on Friday the 12th at 6pm by simply joining the Friends of the Library. The Friends are an invaluable resource for providing quality programming and resources and we thank them and we thank you for supporting them!